Pete and Paula Lambie are both Reiki practitioners and committed their lives to be in service to help humans and horses. Reiki sessions are a powerful tool to heal, relax and enrich the quality of life. We give Reiki SESSIONS (Reiki insight sessions; one hour session) and also Reiki CLASSES (Reiki initiations; one day class). The word is made of two Japanese words. “Rei” represents the Spiritual Source of the Universe or higher power, higher mind. “Ki” represents Life Force Energy. So Reiki is actually “spiritually guided life force energy”. ~ A Reiki SESSION feels like a wonderful warm, radiant feeling that flows through and around you. 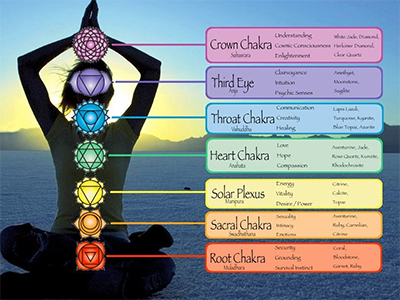 Reiki treats the whole person including body, emotions, mind and spirit creating many beneficial effects that include relaxation and feelings of balance, awareness, security and well being. Many have experienced miraculous results of it. Reiki energy is directed by your own subconsciousness to go where it is most needed to heal you, give you balance in life and benefit you. It also works in conjunction with all other medical or therapeutic techniques to promote recovery. The personal Reiki sessions (combined with foot reflex and guided meditation) Paula Lambie gives takes Reiki a step further as she brings people to their inner answers. Pain, grief, blockades, anxiety, depression, etc. are the messages of your soul through your body to bring you awareness and give you spiritual growth on your life’s path. ~ You can also learn to give Reiki yourself through a Reiki CLASSES (the classes are Reiki I, II and Master and are a one day class each). This ability is passed on during an “attunement” given by Paula Lambie, who is a Usui Reiki Master, and allows the student to tap into the unlimited supply of “life force energy” to improve one’s health, enhance the quality of life and deepen its spirituality. Its use is available to everyone. While Reiki is spiritual in nature, it is not a religion, there is nothing you must believe in order to learn and use Reiki. In fact, Reiki will work whether you believe in it or not. Paula also applies Reiki on horses with remarkable results. As horses are pure they immediately show they receive the Reiki by relaxing, licking etc. It gives them the utmost relaxation and sets in the healing that is needed. She also gives TTouch (Linda Tellington Jones massage method) for horses to give them increasing awareness and relaxation. 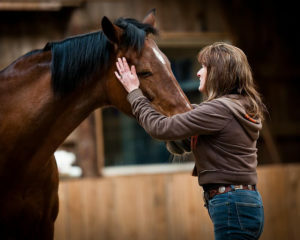 Paula is a well accomplished practitioner since 2000 and have helped many people and horses over the years. Life coaching is also available. Call or text Paula for more info: 603 716 6335.